A single inert cartridge comprising of a fired brass case in 7.62x39mm which has been refitted with a 123gr FMJ head. Heads are correctly fitted with a press and not hammered in place, so the round has a more authentic appearance over rounds where the heads have been inserted too deeply. Perfect for film, display, diorama or to add authenticity to a AK-47 or SKS. 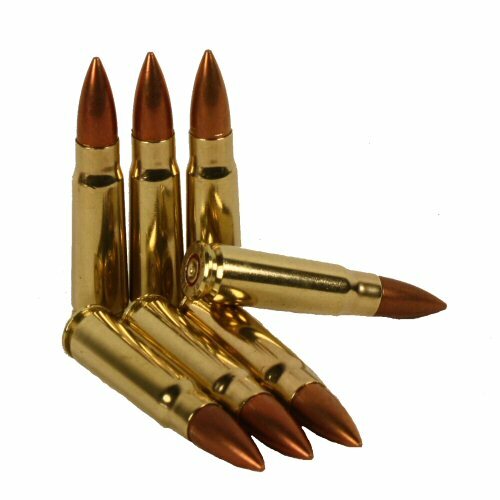 Cases are brass, not steel, and are therefore less common than the steel cased ammunition which is cheaper to produce. Please note that all rounds have no propellant or live primers. This is a deactivated 7.62x39mm bullet. Please note that price is for ONE round only. NB: All inert ammunition travelling OUTSIDE mainland UK must be shipped by international courier (eg TNT, DHL).